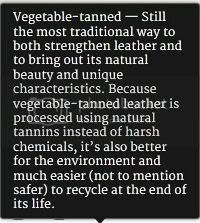 Discussion in 'Classic Menswear' started by fromuio, Sep 20, 2011. 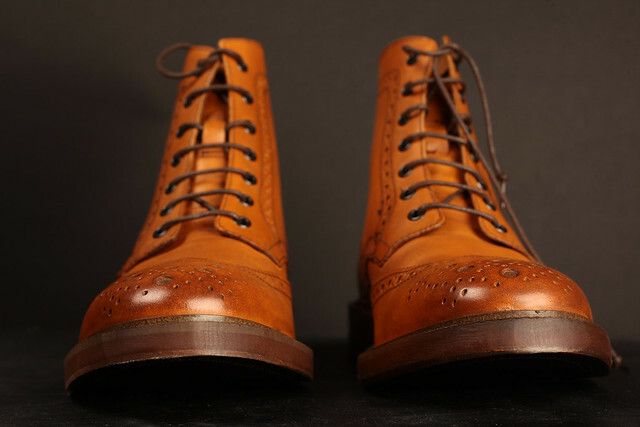 I was looking for a pair of Grenson boots in the Sharp or Fred model but I cant find anything under USD 250. 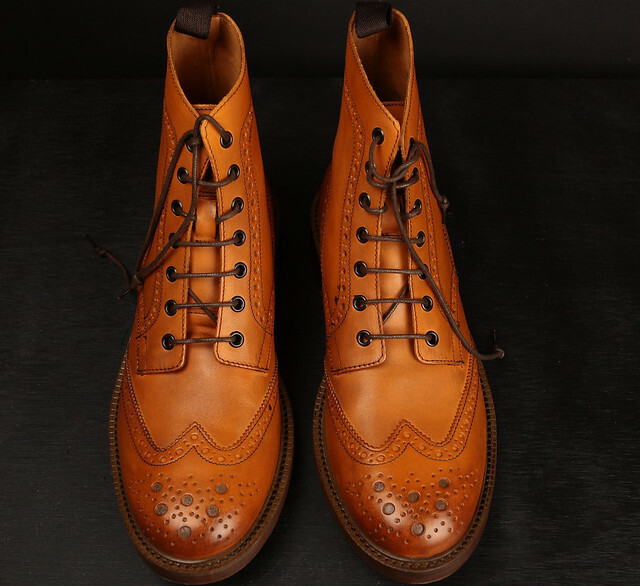 I found these boots from Mr B's which are sold (and made maybe) by ALDO for USD 175 and I can apply a 15% off coupon. 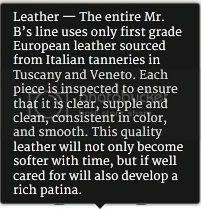 I know about the rep ALDO has in the fora, but can someone comment on Mr B's quality and looks? 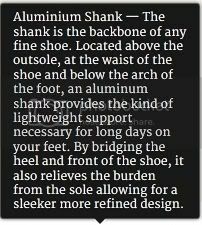 I have several pair of shoes in my rotation and I dont plan to wear the new boots very hard. Any other alternatives? The Grensons Fred and Sharp can be seen on the links below. Although I'm not a fan of Aldo, I'd like to know what people think about this new line as well. I saw these at Aldo and tried them on, they fit nicely and are more in my price range then some other brands I may covet. 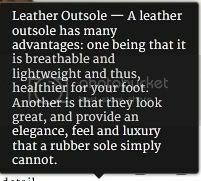 I did ask the sales person and emailed Aldo to ask if they are recraftable or resolable, they both said I could do so with no guarantees from them. The only reason I asked was to hopefully try and get some idea how they were made. does anyone know if these fit true to size or run small/big? 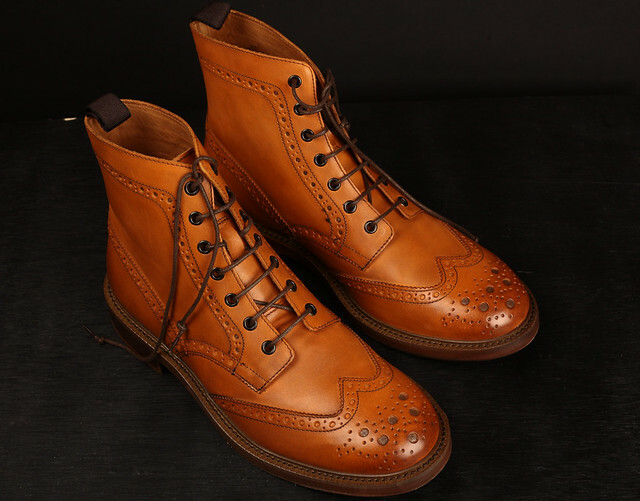 I just picked up a pair of Mr. B's Blake Brogue Boots in cognac. $175 from Aldo. I wear a 9 1/2 in boots and a 10 in tennis shoes. I tried these on in a 43 and they were huge. The 42 fit me just the way I like my boots to fit...a little loose with a thin sock, but nice and comfortable with a nice heavy dress sock. Can't wait to wear these bad boys. I've seen the advertising for these and wondered about them myself. I think they are sold in Aldo stores - I may have to go check them out. I will be interested to hear from someone after they wear them. New listings as of 4/21/19, HERE. I am not sure what to think of these. 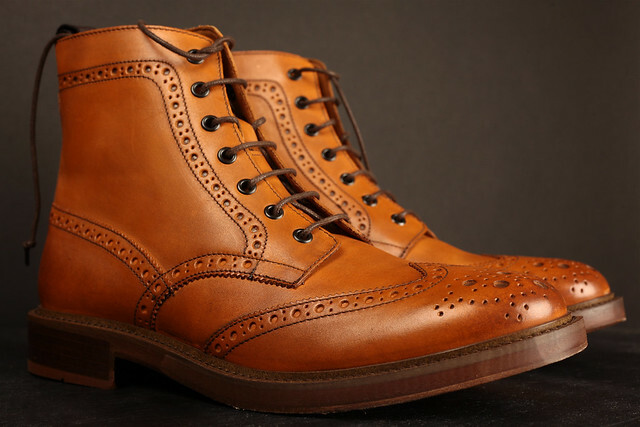 My girlfriend has known since about August that for Christmas she is buying me the Tricker's Malton with a commando sole. When we walked past Aldo in the mall today these Mr. B boots were on display and she pointed out that "these are your boots!". I became very flustered. 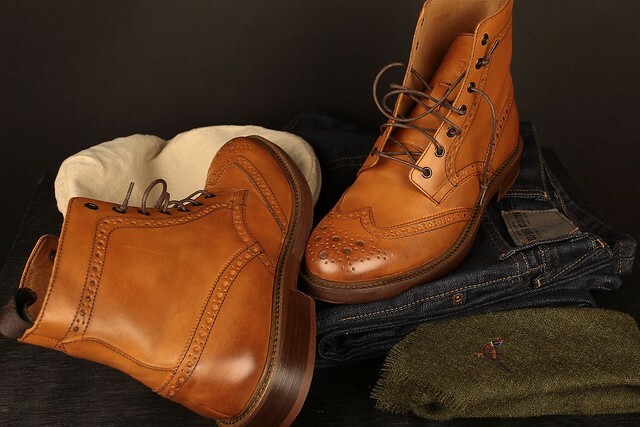 Of course Tricker's Malton is better quality, uses better leathers, has a nicer last, etc. but are they really worth the extra $300? When I looked at the Mr. B boots they didn't look like they were corrected grain. How am I going to explain the Tricker's to her? They look spectacular for the price. I wish someone here would chime in on the durability and construction. The post above with the "Black Squares" contains what the company says about the construction. 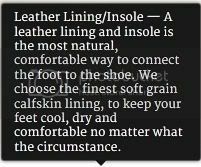 (Handmade...so no two are exactly alike, Craftspeople trained in Italy’s Brenta region, Leather sourced from tanneries in Tuscany & Veneto, Drum-Dyed Leather, Not Corrected/Painted Leather, Leather inside and Out, Triple Layer All Leather Sole, etc.) 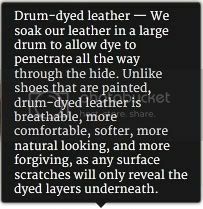 Regarding the durability...don't think any of us have worn them yet to give a report.